The Bulk Stats Rebuild and Player League Stats menu will give you the functionality to refresh the player stats within your database. This process will only need to be used if the player statistics displaying on your website don’t reflect the stats within your database, even after a Publish to Web. 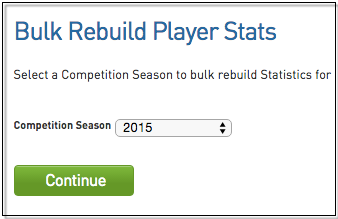 The Bulk Stats rebuild can be done by a Competition Season and can be done per particular Competitions. Processing a Publish to Web after completing a Bulk Stats Rebuild should refresh and update the Player Stats data to your website. 1. 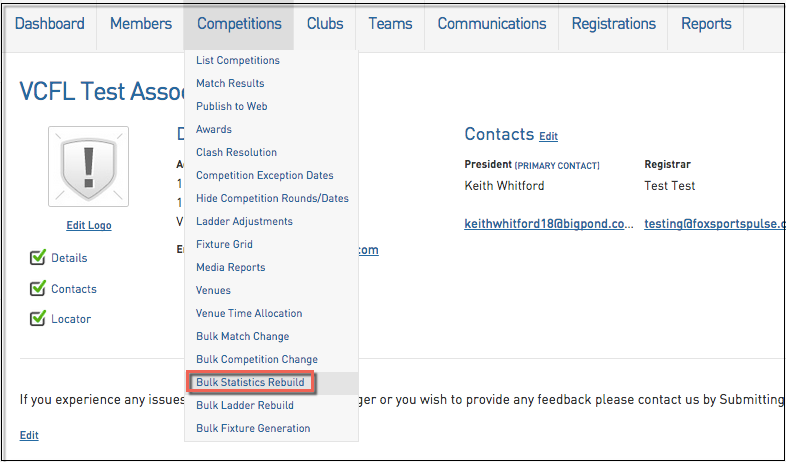 Hover over Competitions and click Bulk Statistics Rebuild. 2. Select the season to rebuild and click Continue. 3. 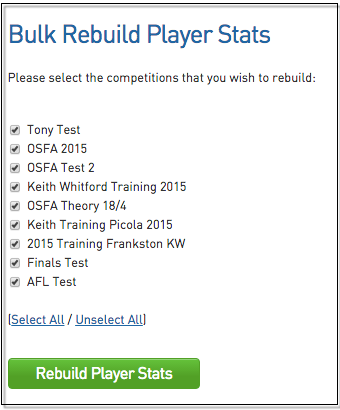 Ensure the correct competitions are chosen and then click Rebuild Player Stats. 6. Check the Process Log to see when these have completed and then perform a Publish To Web.